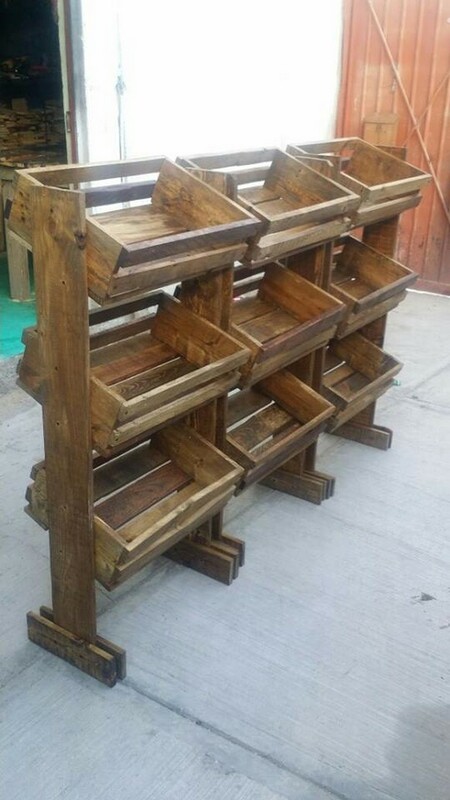 Although we also work on some DIY wood pallet projects too, but most of the times we just concentrate on giving the basic ideas or the inspirations because we believe that once you have become expert in the wood pallet recycling ideas then you don’t need to be taught like a beginner or amateur carpenter. At this stage you just need a push forward or a mere inspiration that would set your direction that where exactly you have to rush to. 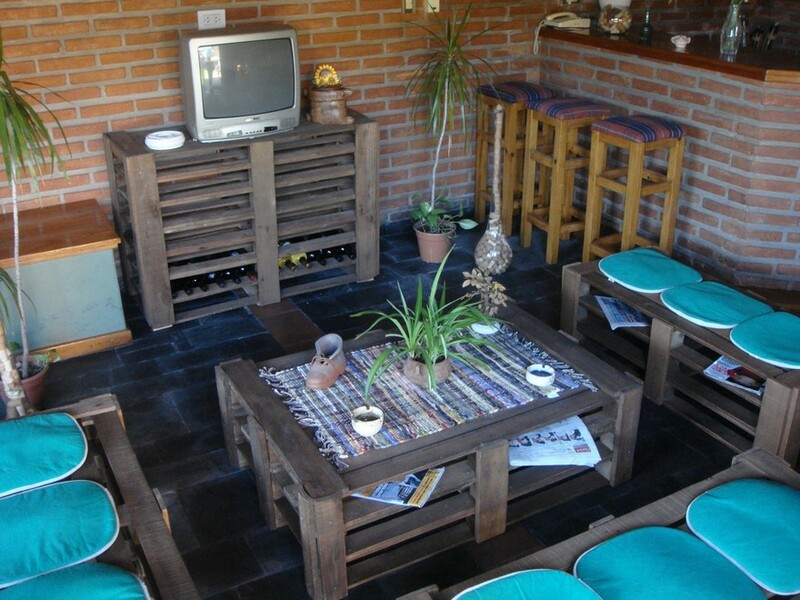 In the continuation of the wood pallet inspirations, here are 20 pallet projects for your inspiration. 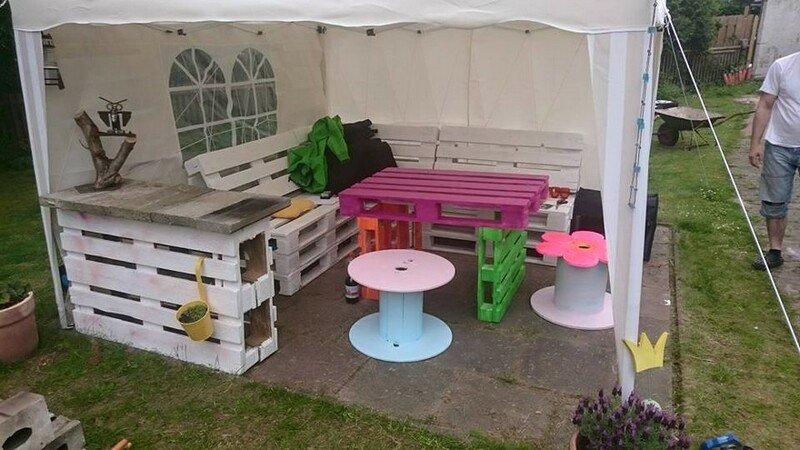 This is a very simple looking upcycled pallet wood furniture range, not only we have kept the sitting space exceptionally big and wide but we have also left ample space beneath the sitting area that is certainly a smart storage hack and would help you when you need some empty space for your accessories. If anyone of you feels to be sick of the old fashioned wooden dining tables then here is an inspiration that is entirely new for them. The benches are a bit extra slim, while the dining table is extra long and this length is made this long to compensate the deficiencies of the width of the table. 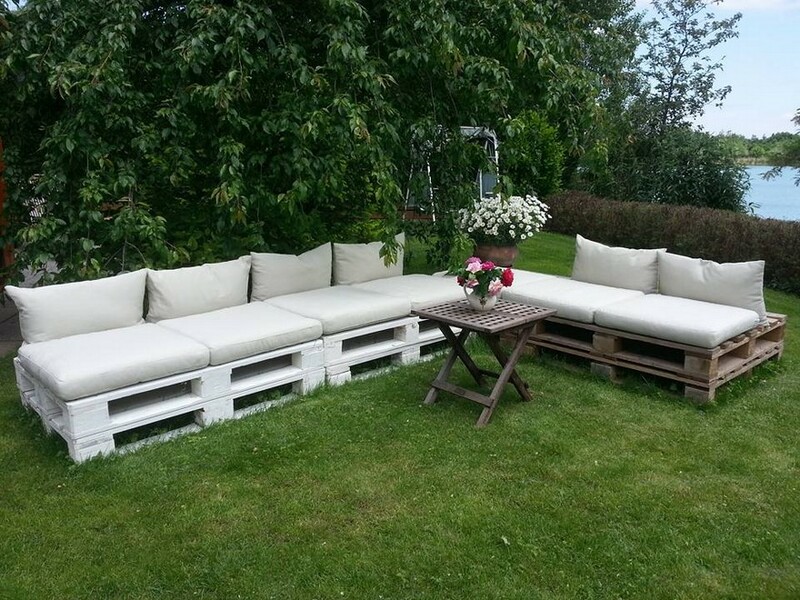 L shaped couches have been so common and very famous among our smart wooden pallet ideas. We have made them countless times and every time we received a lot of appreciation. But this time we have made them literally backless, so they are more like a daybed. I guess this is some area for the bachelors, I can presume this seeing the furniture range and also the setting of the room. 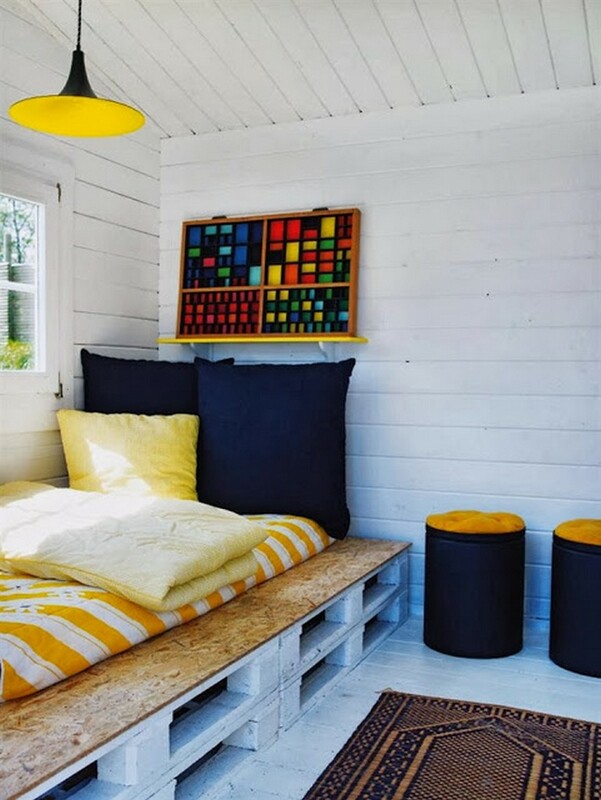 The whole wall area is covered with the wooden pallet repurposed installation that could be used like a daybed or also as a couch. Wow, I really never knew that the mere wood pallet made wall shelves are going to get this much better. But I think our fellow wood pallet crafters must be appreciated for their efforts and creativity as this is something that is extremely adorable. This enclosure is the outer most area of the house that is usually covered with the purpose to turn it into a small green landscape or mere sitting area. This whole area is entirely covered using the wood pallet planks that were stained very well earlier. I think this white shade was the best option as the color shade. 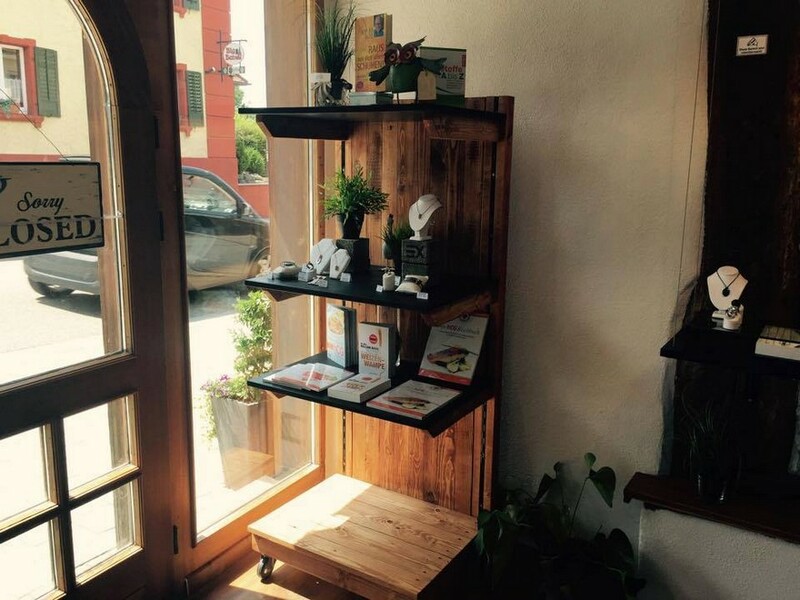 We not only focus on the pallet wood planks but we also use many other wooden things like wooden fruit crates and the wooden cable reels in making various wooden creations as here we have used the fruit crates along with the shipping pallets. This couch seems a bit strange right? There is something unusual in it that isn’t seen around normally. But whatsoever is different this is simply awesome. 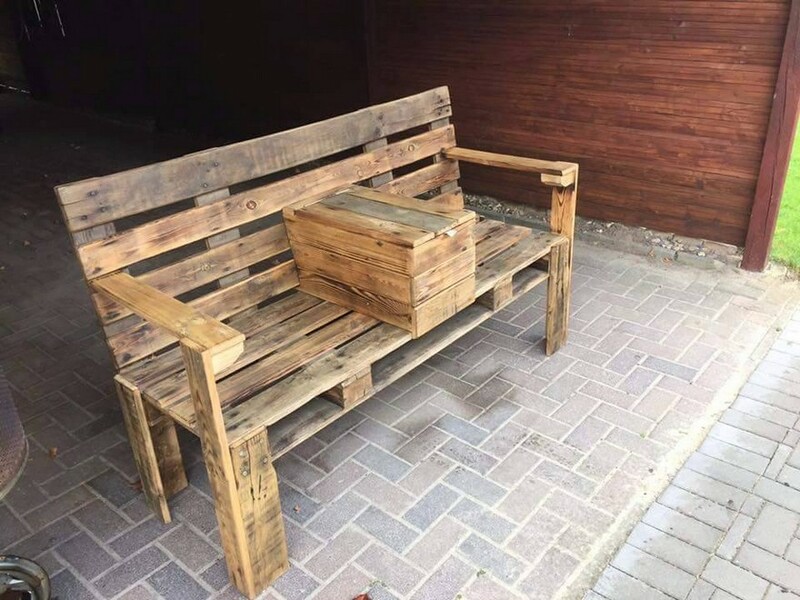 I really like this specific pallet wood upcycled couch. This is so damn wide and spacious and the arm rest are also great. 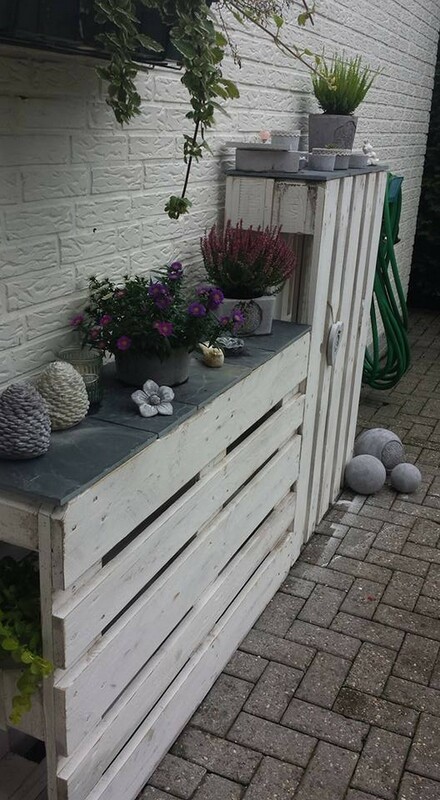 Now see this wood pallet land, I mean everything here seems to be inspired and created with the same material that is the main theme of our website. 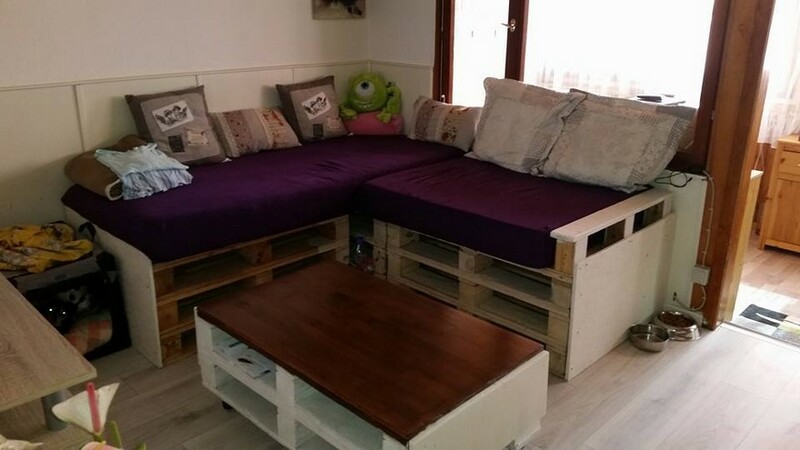 This smart coffee table, TV stand, couch and all other wooden creations inside the room are the blessing of the pallet wood. 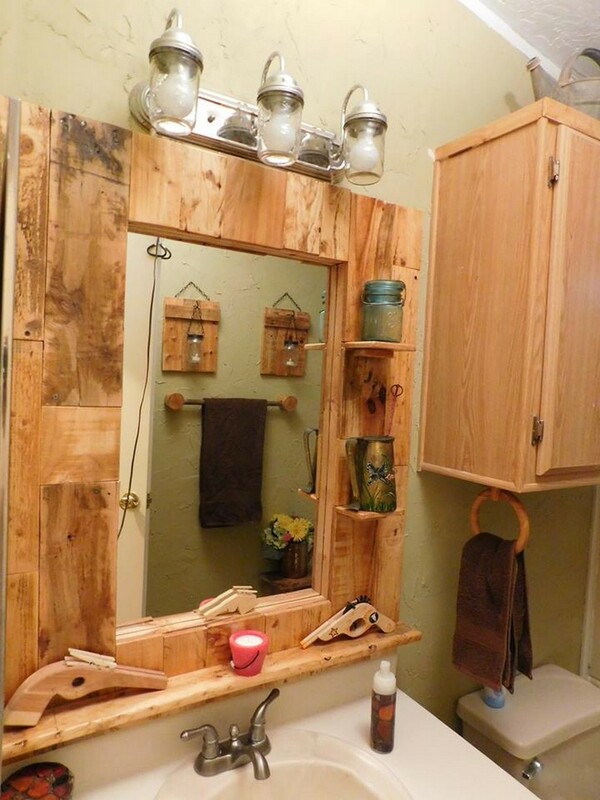 Well, this mirror could have been much simpler and straighter if we were not into the pallet wood recycling. This whole pallet thing is so adorable man. Only some raw wood pallet planks are attached to the plain mirror and the mirror is changed all along. This seems like some shopping mall downtown and the area seems like some food spot or casual fast food place. 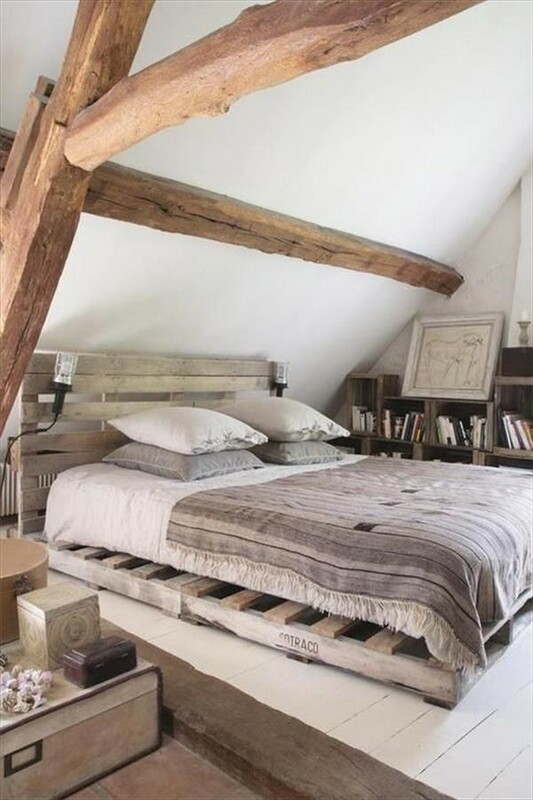 And the good thing about this spot is the furniture that is entirely made using the wood pallet planks. The tables with a solid base are made with the best available material and they provide an ideal serving space. 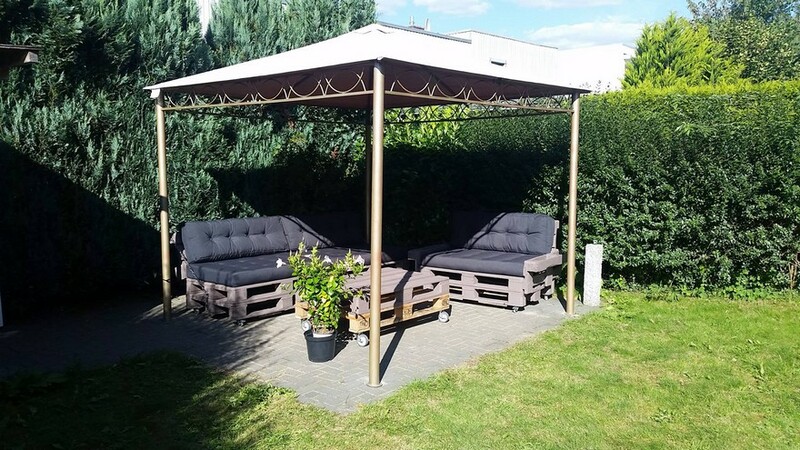 Well, this is the same typical wooden pallet furniture range where we have got a two unit five seated pallet wood couch along with a matching centre or coffee table that is too low to the ground. This can be used anywhere and at any place. Do you remember the cable reels that we were talking about a few moments earlier? Here they come. 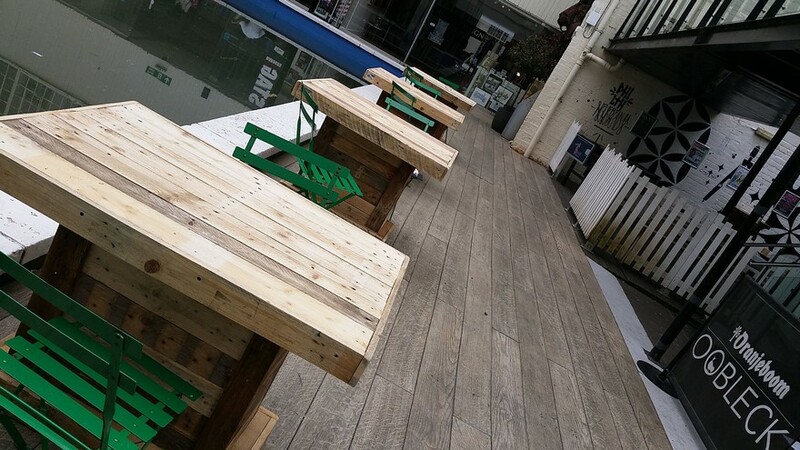 The whole couch and the centre table is made purely with the wood pallet while the tiny little tables or stools in round shape are made by recycling the same cable reels. 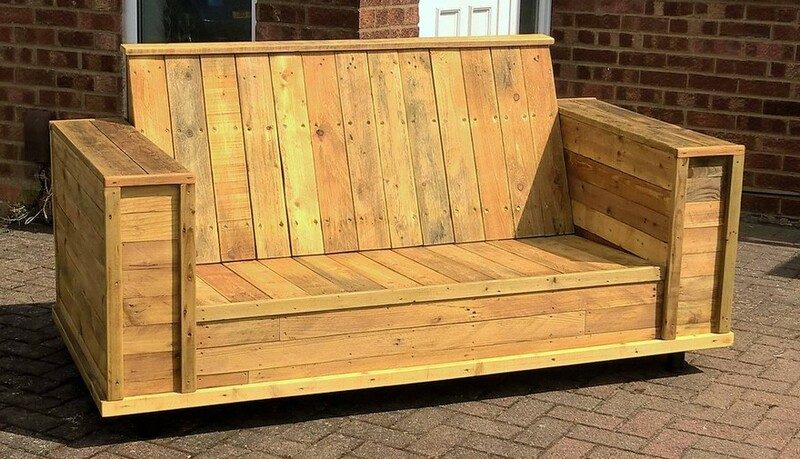 Again this was a simple pallet wood creation, a wide and long pallet wood couch. No complicated patterns are pursued nor any unwanted additions or carving is done here. We simply exploited the different shape of the couch that made it an exclusive furniture item. This isolated area in the ground was especially spared for this seating arrangement. 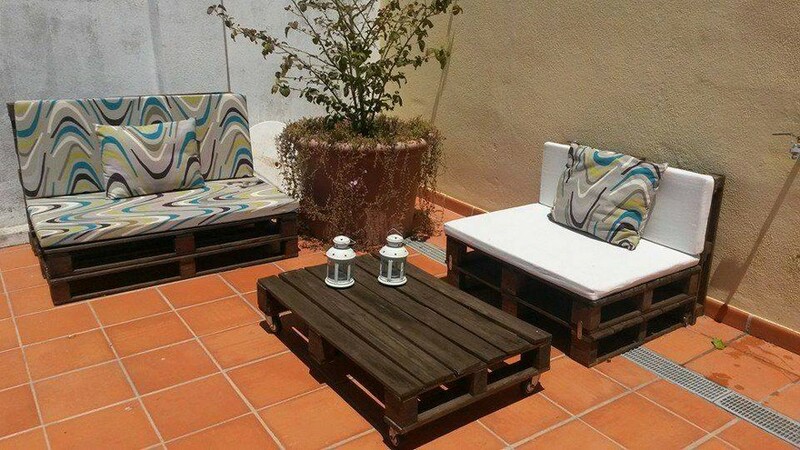 After the creation of this stylish area this literally had become mandatory to equip the place with some fine wooden furniture items so we decided to go for these pallet wood creations that were handy and cheap as well. 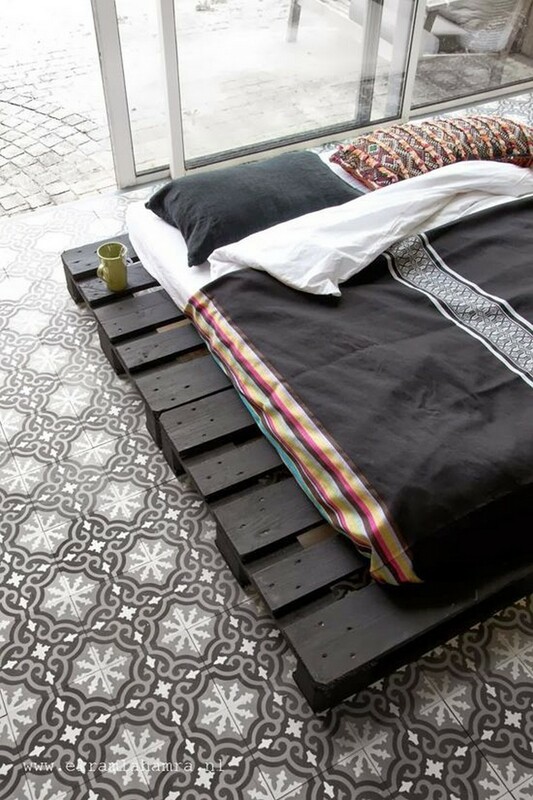 Okay, a lot of you won’t even consider this one it is made with most aged and broken shipping pallets. But we must look at the usefulness of this wooden bench, this is ideal for a couple of persons plus it has got a built in tiny table right in the middle. 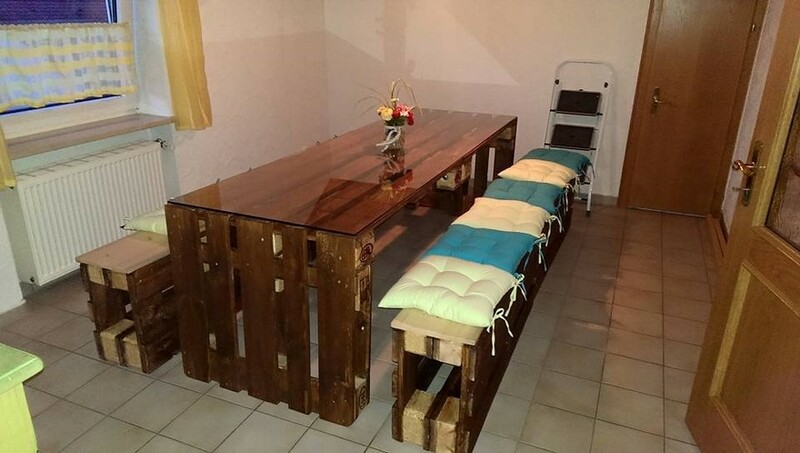 Well, this sort of pallet wood creations are made when the season is ending and you are already done with a lot of different pallet wood creations and then you are no more in mood to do some additional work. 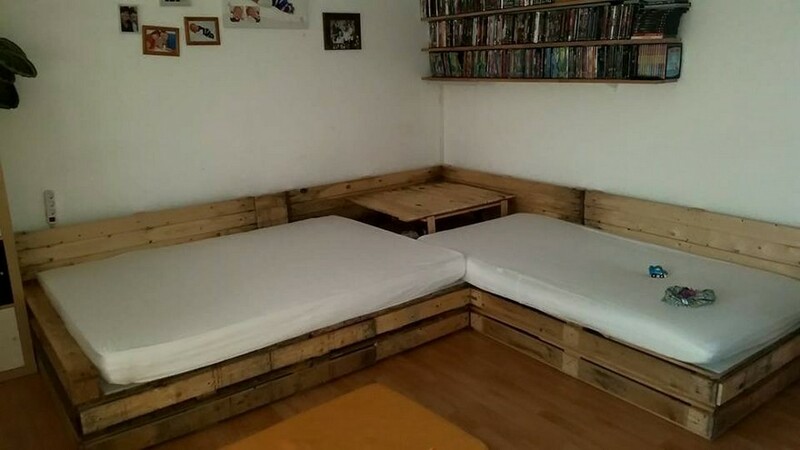 In that situation just grab a couple of whole shipping pallets, stain them and use them as a daybed. If we see this creation from a distance this seems like a wooden podium which it is not actually. 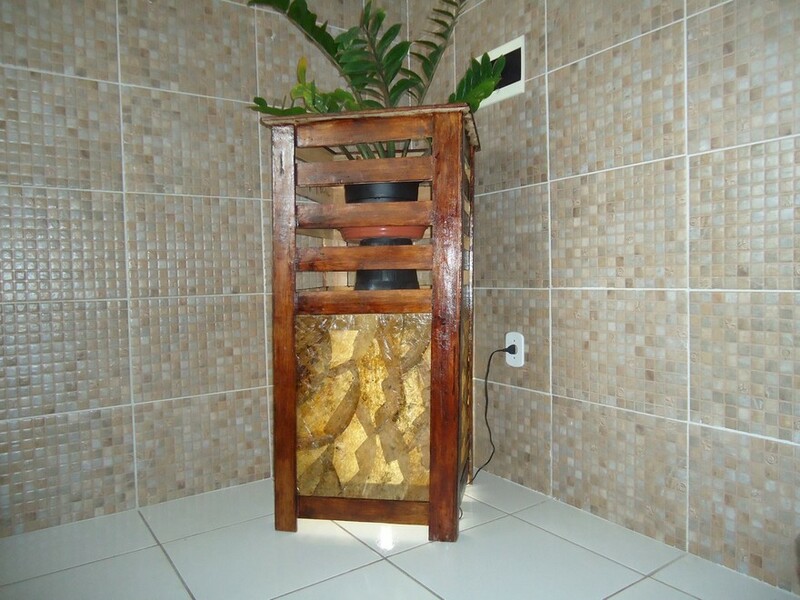 Infact this is a very smart pallet wood planter container. The empty spaces in between the wooden panels would make the planter see through. This room bed seems a bit crazy right? 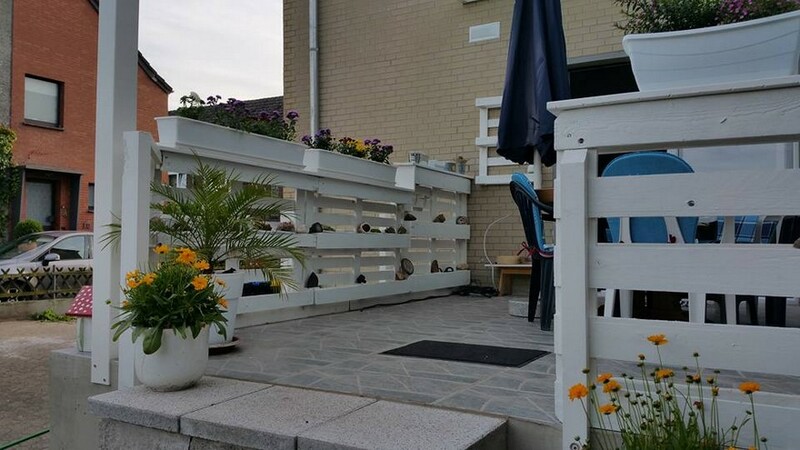 But our fellow wood pallet crafter define it as an artistically stylish creation that is different from the typical wooden furniture items which they don’t like at all. This was so handy to make, so we urge you to try this inspiration atleast in the spare rooms. Now this is something purely outdoor creation. This is more like a side table that we normally used inside the homes, but this time we are using it in the garden. It would be used as a planter pot table inside your green landscape.